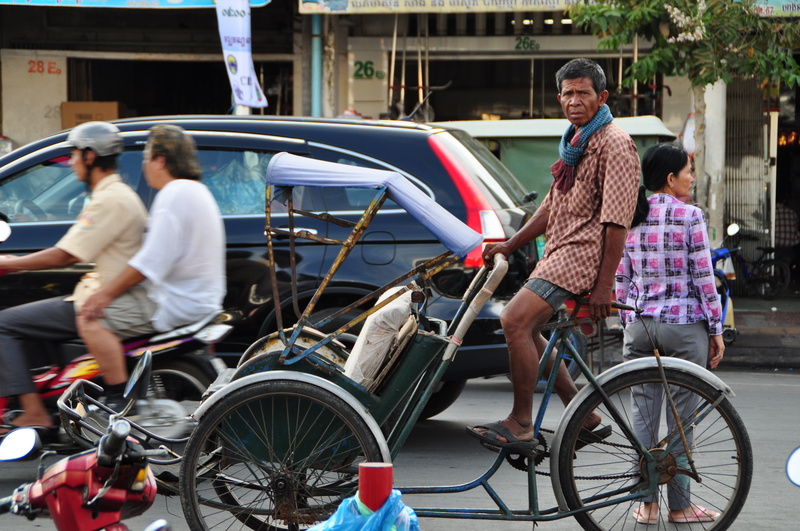 Ever wanted to pedal from London to Bangkok in under 4 minutes? 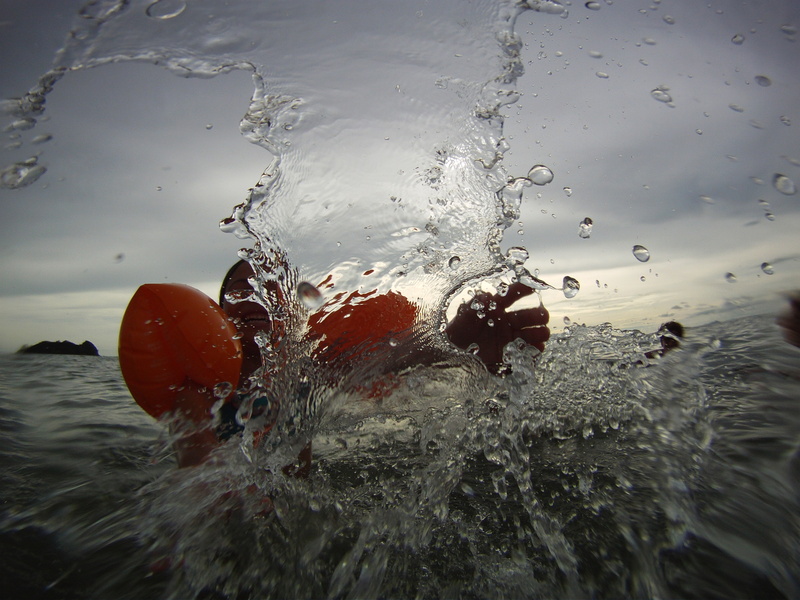 Click on this photo to do just that…..
Before we parted our shores Francesca’s cousin, Chris Riley, had a plan. He proposed that we take photos of the road ahead as we journeyed east. Some 4,500 images later, with Chris’ immense skill and dedication, you can now odycycle at a little over 73km per second from West to East. We are so grateful to him for bringing our old adventures back to life. If you enjoy this short film please forward the link (Facebook, Twitter etc etc) to friends, family, colleagues or anyone who has 4 minutes of their day to spare. When we hung up our cycling shorts and kicked back for some well deserved rest earlier this year, little did we know that the idea of our next Odycycle adventure was already brewing…. No, we are not about to depart our fair shores once more, with tents and pots and pans and just bicycles for company. Our next adventure is of a much more domestically-rooted form and one that has, in just its first 6 days, provided us with ever-greater highs than a year cycling across continents, and a smidge of sleep deprivation too. 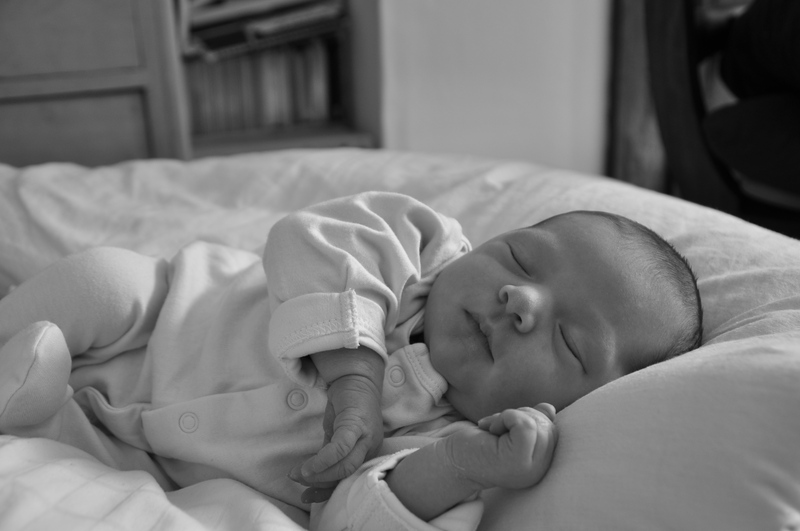 In the late evening last week our new Odycyclist friend, Aurelia, was born in our front room. She came swimming into the world (not cycling!). She has beautifully-long cycling legs, however, and we can not wait for her to take us out for her first spin on the roads of the globe. We are now back home, down by the River. Pedalling around on our old city bikes, encountering those familiar assault courses of pot-holes, cycle-unfriendly intersections and madcap gyratory systems that some civil-servant signed off on without ever comprehending the perils that lie within. But we are become made of stronger stuff these days…. jaunts through the throbbing streets of Cairo, shimmying around the pulsating concrete arteries of Zagreb, and Russian-Roulletting our way across Chinese mega-town after Chinese mega-town has immunised us like you never quite would believe. 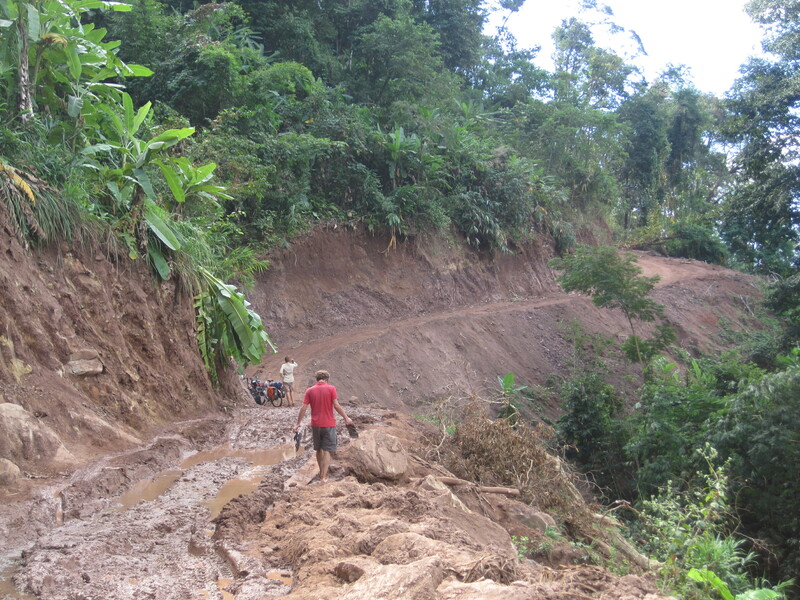 Saying all that, however, it took less than 48 hours for Sam to go tumbling over his handlebars and stare bemused at a mischievous fissure in the road that surely never existed before we left. Not a single fall in a solid year of cycling and more than 31,000km between us…. It was inevitable we suppose. But our adventuring days are being gently parcelled up and cupboarded, as we re-don old robes and think of trundling around our mighty city in search of work and buttery bagels. What do we say to the inevitable questions of “How was it?” before conversations meander on to tales of snow in Ithaca and it actually having been a mild winter? There is no answer. At least not one that we can satisfactorily verbalise to friends and family. What we feel though is that if Odysseus had roamed the world on a bicycle, to come home to Ithaca or London or wherever, he may well have stared doughy-eyed towards his beloved Penelope over a steaming cup of tea and cast his mind back to glorious days on the open road with the wind in his wheels and the joy of sharing those curiously precious moments in the best of company. This is the end of Odycycle. It has been the market place of our last year in the saddle. A market place in which we have gossiped wildly, shared tales and photos from our adventures, and most enjoyably for us, received the steady stream of support and encouragement from you. We cannot thank you all enough for joining us on our journey and making it never a lonely road. We really hope that in 2012 the adventures begin or (better yet) continue for all of you and that we get to see some or all of you in the flesh very soon! When we used to roll around playing in the mud as kids, the day would inevitably conclude with a soak in the bath that, when drained, would deposit a tell-tale scum line of a day’s high adventure in the neighbourhood. Maybe as a result of our newly acquired high standards of hygiene or due to diminishing playtime over the years (surely not! ), it had been a long time indeed since we had observed the two-tone world of an emptied tub. Yet this is what we found as our final pedal strokes carried us into the northern suburbs of Bangkok, where the cycling part of this Odycycle would come to rest. News of the epic flooding in Thailand in October may have only briefly registered with many of you. Yet another natural disaster far from the mostly meteorologically benign parts of the world we inhabit. For us, however, we had skidded onto the set of what seemed to be a post-apocalyptic landscape. Once a gentle middle-class neighbourhood; now a zone of decaying furniture, rotting toys, shrivelled photo albums, swamped immobilised vehicles, and a mosquito-infested stench weighted in the air. Where was the bunting? The ticker-tape parade? 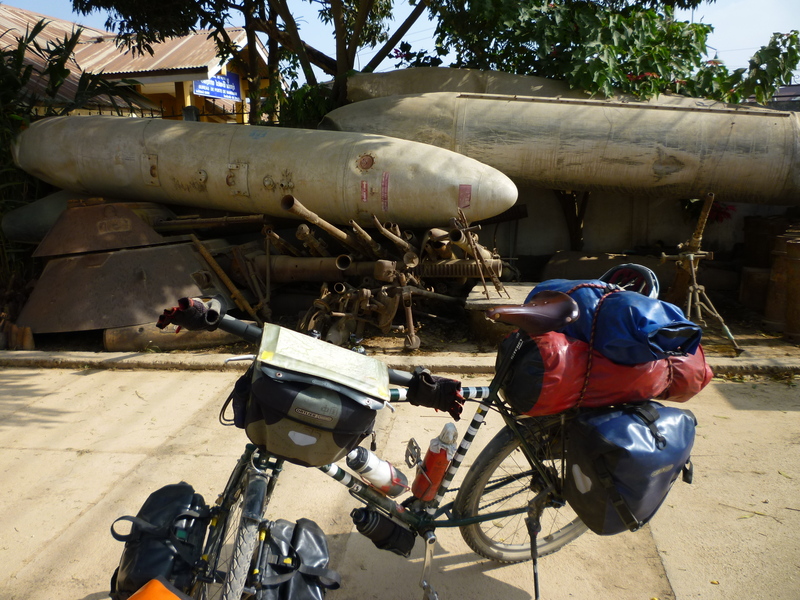 Our irrepressibly kind and hospitable warmshowers hosts, Nawin and Anan, had accepted our request for a bed and a place to store bikes long before the biblical rains came, the day the levees overflowed, and the night Anan’s own waters broke too. She gave birth to Punpun the night that crocodile-infested, disease-ridden, murky waters rose to almost 190cm throughout their district and, depressingly, inside their living room. In the weeks prior to our mid-December arrival, we were repeatedly updated on the level of floodwater in the house. “It’s almost down to 1m!” chirped yet another absurdly optimistic email. When the floods did eventually depart from the front room, some 9 weeks after they arrived, our hosts toiled endlessly to get their home back into shape to welcome us. They simply wouldn’t entertain the idea of turning us away. We tell the story of Nawin and Anan for a simple reason. 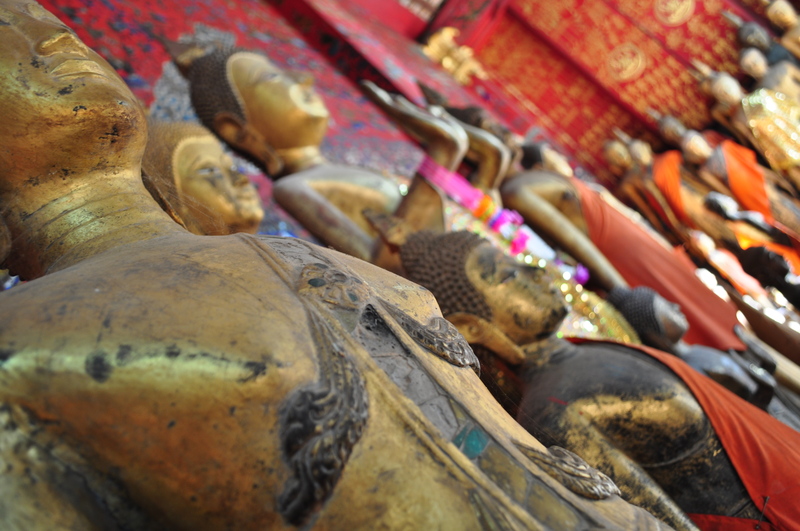 For us, they embodied the kind, gentle spirit that we encountered throughout our days in Thailand. 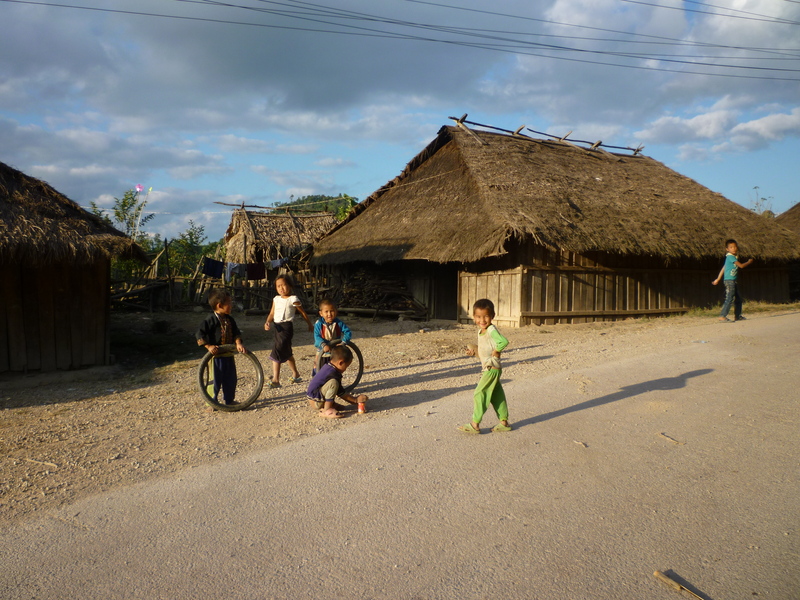 Warm smiles at every turn, and incessantly going out of their way to shepherd us along. Unsurprisingly, Thailand is a tourist’s paradise: wonderful food on every street-corner, stunning scenery (not even counting the picture post-card beaches), charming and friendly people, and it’s cheap. Such a cocktail inevitably leads to coach-loads turning up on a truly vast scale, and yet this country (and its character) appear so remarkably unscathed. True, we avoided the mega-tour traps that abound on some parts of the coast but life in Bangkok on our three sojourns, and on the arrow-straight highway that shuttled us into the capital from Cambodia in the final four days of our cycling, presented glorious trawling through giggling night-markets and deliciously contented post-noodle highs at every pit-stop. Being the aberrant bicycle parents that we are, our bikes rested up in the floodlands of Bangkok while we went off to explore an Australian Christmas. Our return to the periphery of the big smoke was, however, startling. The desolation that stained such a large swath of the city had received, in our month away, a life-giving dose of the magic wand. Roads had been swept clear, rotting waste banished, and abandoned streets were filled once more with the high-pitched chatter of nutty kids careering around on improvised go-karts. All that remained of those dark autumn days was the scum-line running chest-height throughout the neighbourhood. Notwithstanding the tireless clearing, cleaning and cleansing that the positive Thai folk of Bangkok have undertaken, a steely pragmatism stalks their thoughts. 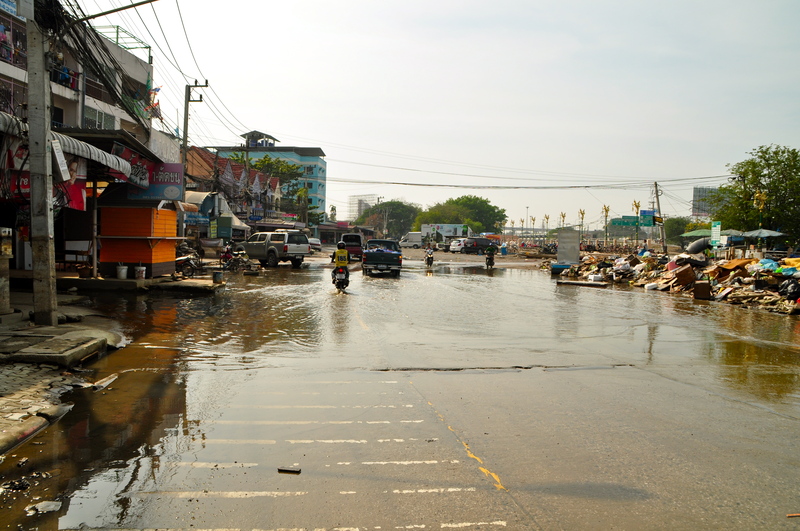 Each year this area of Thailand is flooded. Usually, a handful of inches come and go quickly without drama. The scum-line that runs throughout the area, however, is not the only scar that remains. In the absence of concerted government action to ensure flood-waters are properly dissipated through a series of (probably very costly) improvements to the storm levees, the people are waiting. To see what this year brings, before deciding whether to invest once more in their lives here. As with so many of the places we have passed through on our Odycycle, we will follow events in Bangkok closely in the coming year. Tock. Tick. Tock. That clock that had begun to sound just a few weeks ago has come full into view now and 7 measly days remain to draw breath (we have really been doing that all year) before we are catapulted home through airport lounges, along runway strips and across immigration checks, with our trusty bikes hopefully in tow. And draw breath we did, in joyful circumstances. With our good, old friends: The best people from Portugal, ever, Rafael and Tanya. 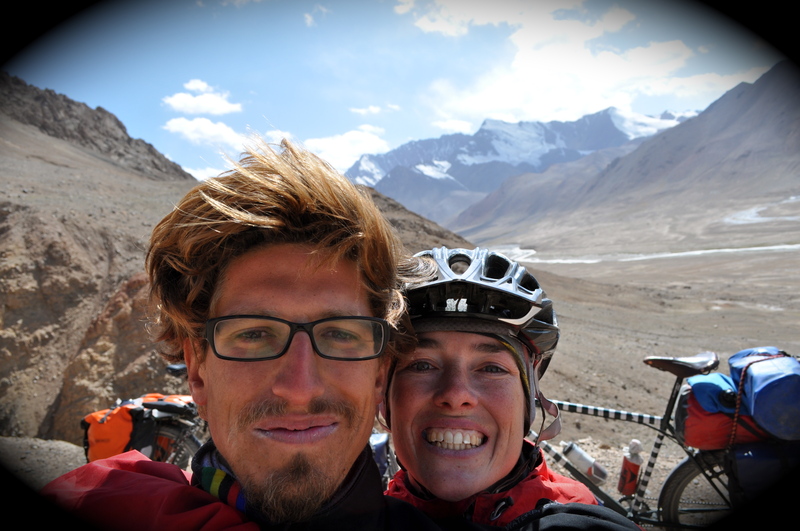 After cycling so many kilometres with them through Central Asia our paths had split in western China and while we scurried north of the Himalayas, they ducked underneath and through India. 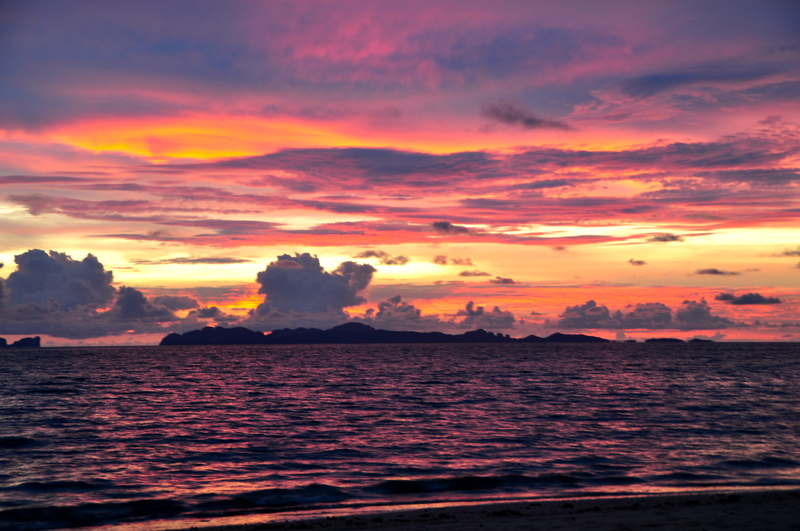 We shrewdly conspired, however, to meet on a little slice of heaven, a small island off the Andaman coast. So in our final days we reminisced, we jumped, and we swam. Incessant bicycle chat, yet not a bicycle in sight. 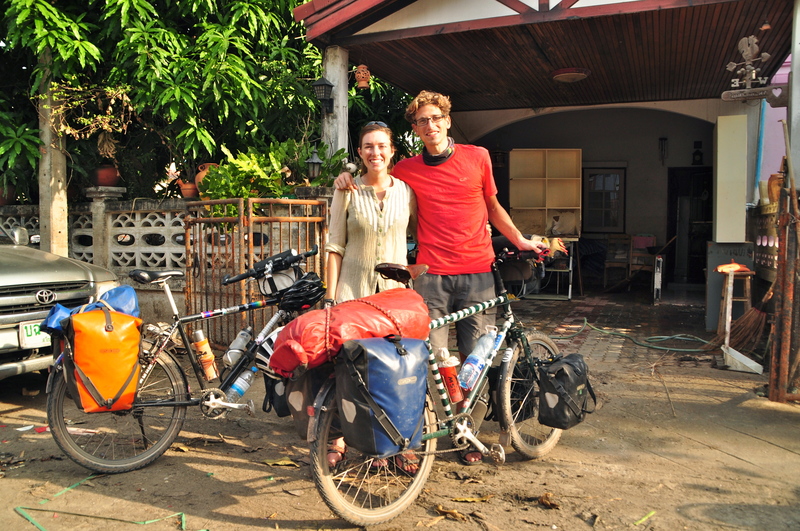 344 days after we set out from Sam’s sister’s front door, we are now wrapping up our lovely bikes in cotton wool and hurtling towards the BKK airport. We think that one blog remains and then this Odycycle too can be laid to rest. As ever, photos can be found here, and final map here. Terra Australis Incognita may indeed have proved a felicitous destination for First Fleet Officer Mr Tench. 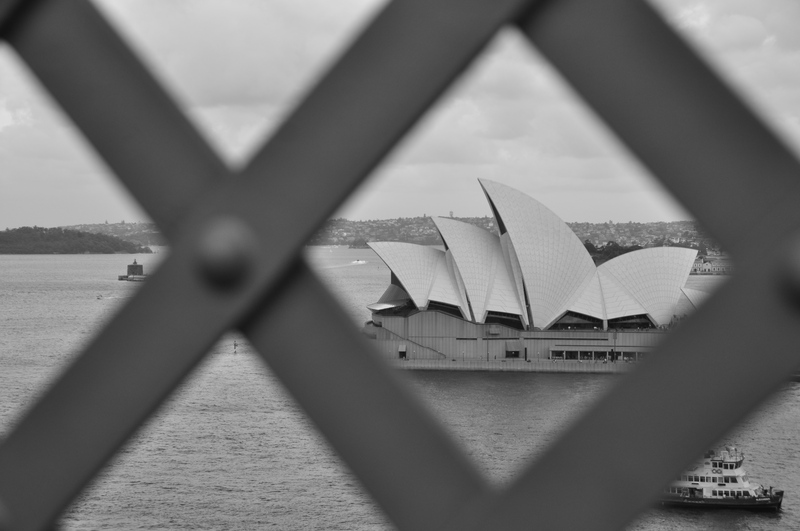 The stench of the convict hordes below obviously didn’t permeate to the deck above and interfere with the fresh sea air and scent of eucalyptus whistling in his nostrils. 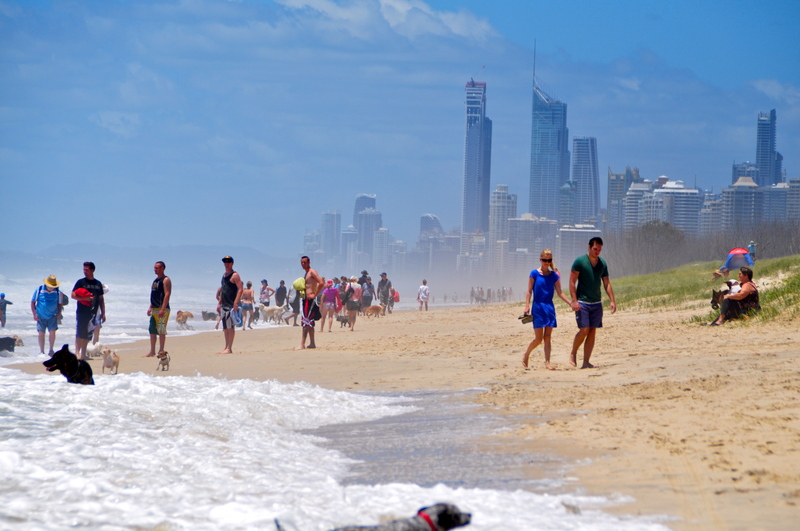 Mr Tench was one of the first of many who pined in heady anticipation for the sight of these Australian shores. “Australia is a lucky country, run by second-rate people who share its luck“. Notwithstanding criticism of those who have governed here, for the Rusakovs, along with an entire population of other refugees and immigrants over the past 224 years, it really was. Last but by no means least, for us Odycyclists, catapulted bike-less, to antipodean depths in mid-December, Australia had the ring of adventure accomplished. For Uncle Paddy, though, it was a different story. While old Watkin Tench paraded on deck, Paddy languished down below in the hold. For him the word Australia had an altogether different ring. Great Great Great Uncle Patrick Delany (to be precise) – a devilish rogue and Macheathian villain – was convicted of highway robbery in 1783 at the York Lent Assizes. He was sentenced to be hanged but reprieved at the eleventh hour, his punishment ultimately commuted to transportation on the First Fleet of convicts to the penal colonies for a period of seven years. Having escaped the good ship ‘Mercury’, Paddy was thrown into the stinking hold of the scurvy-ridden transport vessel, ‘Friendship’, where he festered for eight long months in Portsmouth Harbour before the ship finally set sail. Chained and diseased – without ever laying eyes on the golden sands and delightful, turquoise, shark-infested waters of Botany Bay – he met his doom. The records say he died at sea on 23 June 1787. Not so lucky for some. With such a deep-rooted connection to these antipodean shores, it was no wonder that Francesca was granted immediate citizenship and the Odycyclists were invited by the Prime Minister, Rolph Harris and the entire Aussie cricket team to regale the populace, Homeric-style, with tales of pedalling across continents, the cities of men they saw, the pains they suffered and the frogs they ate with sticky rice. In fact, Australia was not originally our planned final destination as you can see from our map of the planned route, but a desire to tread even further in Juliana’s footsteps, indeed to the culmination of her own epic voyage to Adelaide in 1949, had begun to grow. It seemed a fitting tribute. Us, pedaling on terra firma, where 5 year-old Juliana had rolled on the wine-red high seas, taking in the walls of Rome and the Suez canal as she went. We wanted to spend Christmas with Nanna, to see as many of the Aussie relatives as possible, and to visit the places where Juliana had grown up. And so we were greeted into the bosom of our Australian family and friends for a sunny, southern hemispherical Christmas. We were taken to Woodside, now army barracks but then rudimentary refugee camp, where Francesca’s Mum’s family lived in a corrugated iron shack until Juliana was 9. 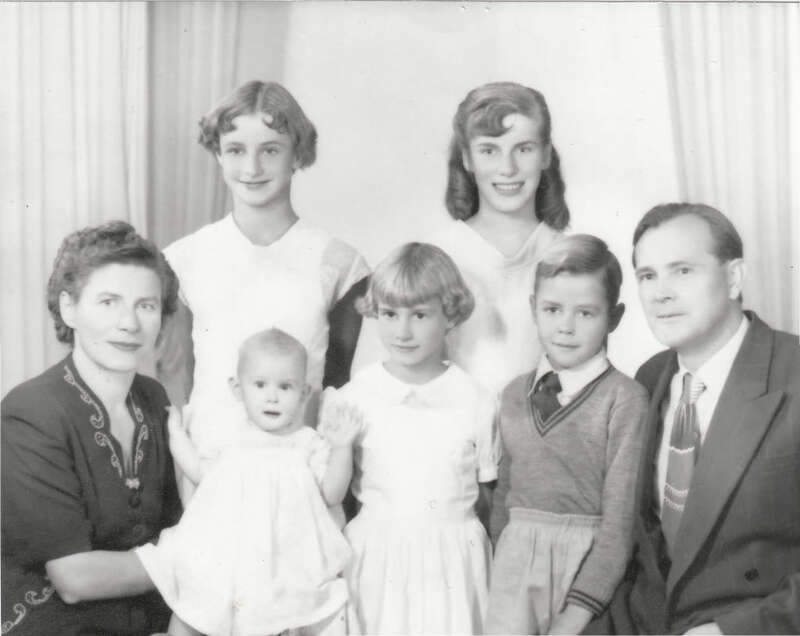 We found Hendry Street where the family had moved in the fifties – their first ‘real home’ in Australia – and from the bedroom of which 17 year-old Juliana dreamed and plotted her escape to London and its Swinging Sixties. We were entertained by the lovely octogenarian Anna Supco, Nanna’s friend, who told us tales of arriving on the boat at the same time as the Rusakovs. For her the land had truly been incognita. With no knowledge whatsoever of what Australia had in store, she had been gobsmacked to see white people when she landed. We spent a wonderful christmas with Nanna – delighting in the twinkle in her eyes, smiles of recognition and her mischievous appetite for champagne! 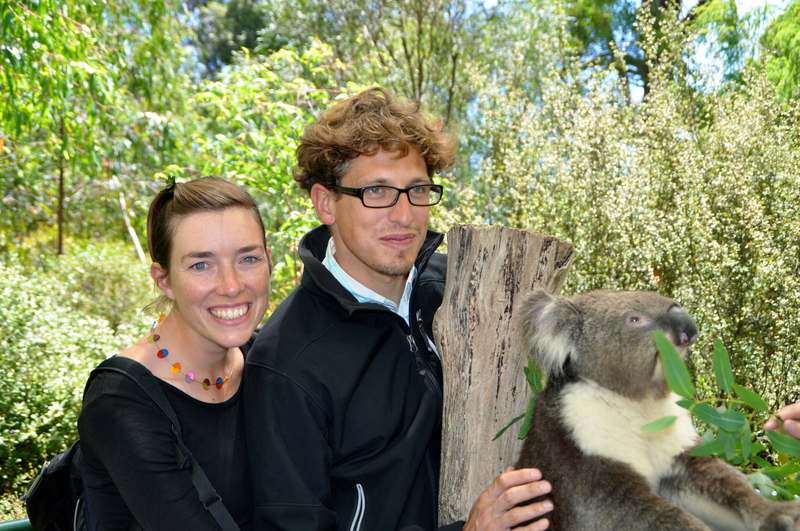 We feasted among cousins and second cousins we had never or barely met, came face to face with koalas and kangaroos, manta-rays and toothy sharks, wineries, golden coasts and panoramas galore and were fattened up in true Aussie Throw-Another-Shrimp-On-The-Barbe fashion. Unclad? Well, no nudy beaches for us, given Sam’s terror of Australian wildlife and desire to have at least some meagre protection from the Great Whites’ jaws, but we truly did feel naked without our bikes and our numerous panniers. Had we had another 12 months it would have been a joy to have cycled Down Under and beyond, but that odycycle will have to wait. We do not feel short-changed, mind you, having lounged on Sydney’s city beaches, hopped madly along at her yearly festival, watched the fireworks whoosh impressively on NYE, gazed on at India’s humbling in the 2nd Test at the SCG and finally, grooved along with all those Melbourne groovers (you know who you are). We now write on the eve of our journey back westward. Tomorrow we will be back in Thailand and preparing for the final leg of our voyage back home. We leave with mighty memories of the Lucky Country and how fortunate we were to be among such wonderful family and friends at the very end of our adventure. 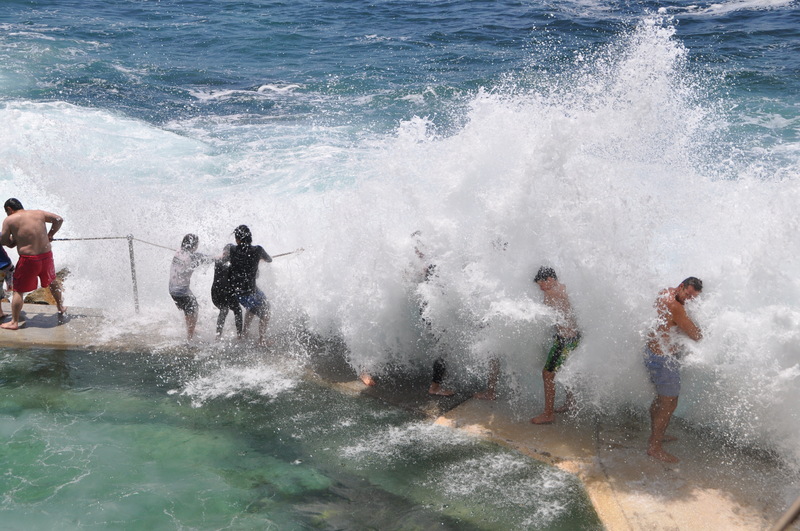 As ever, we have loaded up our last few snaps from sunny Australia, which can be found here. And the old maps are here. And the first instalment of “Juliana’s Footsteps” can be found here. Like horses that smelt the stable, our pace has begun to quicken beyond a trot. Ably assisted, no doubt, by the absence of hills and fountains, moors and mountains. 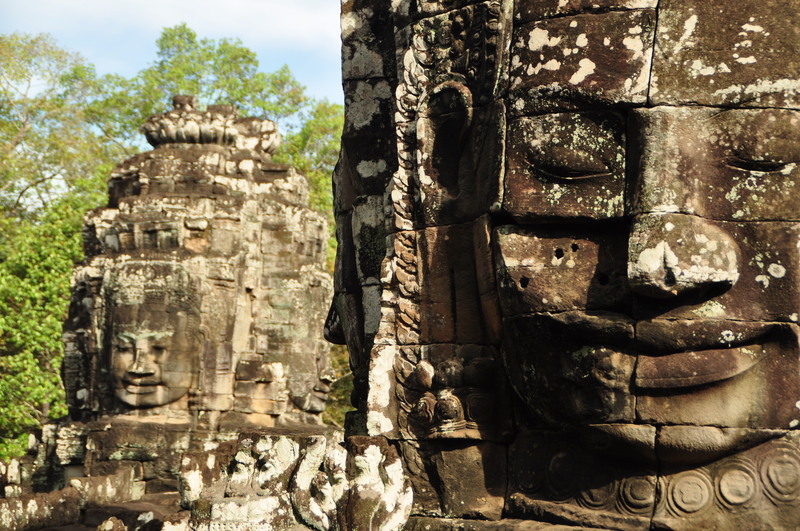 Just the soothing tarmac of northwestern Cambodia and its landing-strip highway from its upper border crossing with Thailand to tourist-infested Siem Reap, the launch pad for forays into the gleaming jungles around Angkor Wat. We confess that a yarn about Cambodia now is a little out of order. Literally. We have chosen to skip over (for the time being) our 4 days of frenetic pedalling from the banks of the steamy Mekong River at Savannakhet in Laos to the machine-gun-clad park rangers of SE Thailand. 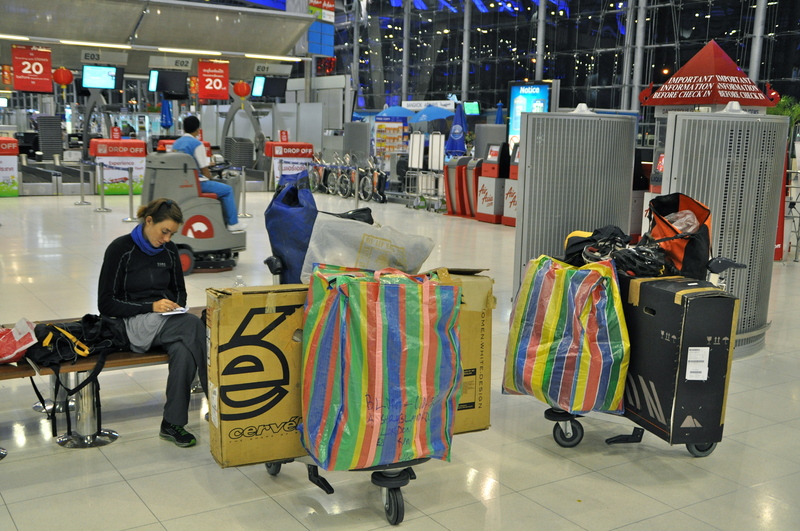 In fact, we will bundle all three of our trips to the land of eternal smiles and “happy ending” massages (ie Thailand) to the very last when, at the end of January, we sweep our beloved bikes onto an aeroplane in Bangkok with London Gatwick grinning on the horizon. Before tales of Thailand, abandoned bicycles in the flood-lands of Bangkok, and inverted Christmas holidays in the sun-kissed, upside-down realms of Australia (no, we are not cycling there), we have the pleasure of our days at Angkor Wat to relay and an account to give of our brief glimpse into modern-day Cambodia’s search for justice, truth and reconciliation. Not necessarily in that order. Once our bikes had reached the flatlands, the many moons of alpine cycle-training reaped their dividends on the Angkorian plateaux as we motored, petit-peleton style (Sam nestling snugly in Francesca’s slip stream), to Siem Reap and then ultimately onwards to the capital, Phnom Penh, where colleagues of Sam are currently involved in the representation of Sister Number Two. In case you are wondering, Sister Number Two is Ieng Thirith, Pol Pot’s sister-in-law, who presently finds herself before the Extraordinary Chamber in the Courts of Cambodia (ECCC) facing allegations of War Crimes, Crimes against Humanity and Genocide, all perpetrated during the tyrannical and paranoiac years of Khmer Rouge rule between 1975 – 1979 that resulted in the deaths of approximately two million people, many at the hands of their own political leaders. The timing of our visit could not have been better. Diana, Daniel and Sophie provided us with front row seats as the Trial Chamber heard its first day of evidence and the country listened for the first time to the free-wheeling account of Nuon Chea – Brother Number Two – as he described the rise to prominence of the Communist Party of Kampuchea and its struggle against US-backed South Vietnam. 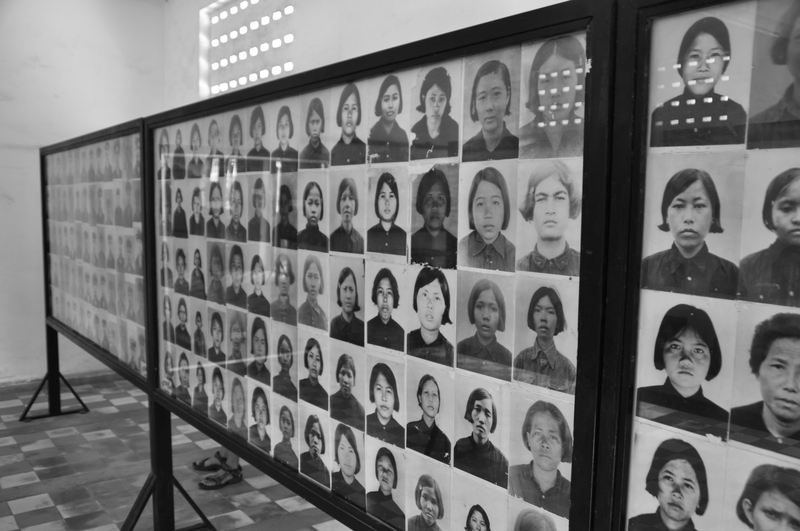 People had been drawn to the Khmer Rouge due in great part to anti-American sentiment following US military involvement in the region that had culminated in vast carpet-bombing campaigns of Cambodia itself. Irrespective of the somewhat incredible exculpatory monologue that concluded with a now infamous sound-bite that the Khmer Rouge were “not bad people”, it was an utterly absorbing experience to be in court in proceedings we might not naturally recognise as a criminal trial but that, nonetheless, felt like history unfolding. Inevitably, it will take much more than apportioning criminal responsibility to a few alleged “Big Fish” for this country to come to terms with the years of torture, forced labour and mass murder in the Killing Fields of Cambodia but it still represents an important step. 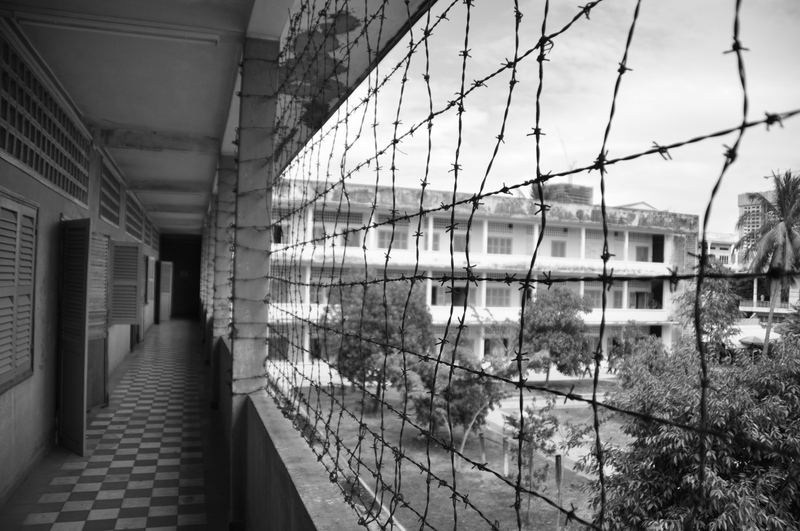 After the sterile atmosphere of the air-conditioned ECCC precinct, the following day’s visit to the black heart of the Khmer Rouge regime, namely Tuol Sleng Prison (S-21), was a shocking reminder of what actually took place. It was here in the now eerily peaceful former school that 21,000 Cambodians were held, tortured and invariably executed by a regime that did not tolerate dissent or disobedience to the Party line. The site remains almost untouched, with crimson blood still staining the concrete floors of the crudely constructed cellblocks. Extraordinarily, each detainee who was “processed” at S-21 was photographed (sometimes even after having been tortured and/or hung). They are now the ghosts that hug the walls and stare back with impossibly sad eyes. As with any sobering experience, there is no tonic quite like a pineapple and green chilli pepper margarita to cast the blues away and so it was that we toasted kilometre number 15,000 with Diana et al. as the sun collided once more into the soupy Mekong River flow. 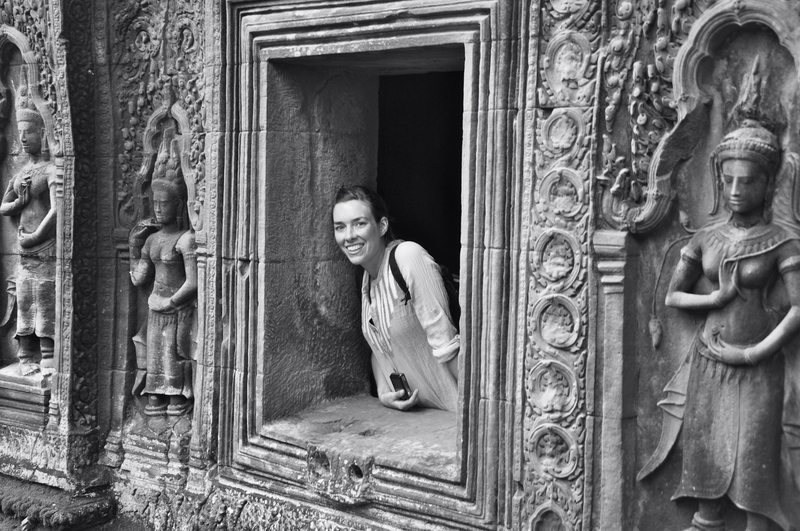 Early the next morning we signalled our good-byes to familiar faces and went in search of the phenomenal stone edifices of the UNESCO über-attraction that is Angkor Wat. For two days we pedalled unburdened by tents, tools, pots, pans, sleeping bags and all our other daily companions, among the stellar ruins of Angkor Wat, its sister temples and the sublime jungled shrines. Exquisitely crafted around a thousand years ago, they remain utterly extraordinary and exceeded each and every childhood imagining. They just don’t build them like this anymore. After all the wondrous things we have seen along the way, to imbibe this intoxicating treat with a mere 4 days of riding to go was a fitting experience. Savouring the best until last. Yes, you heard us right. 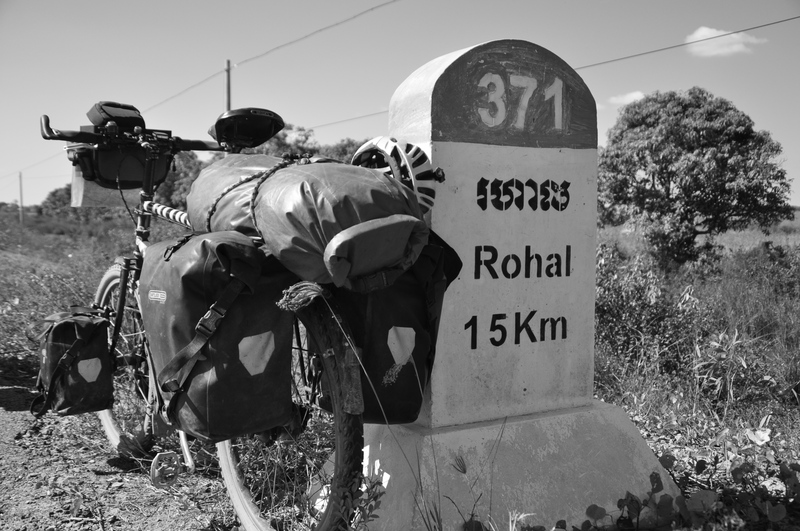 This blog was partially penned with a paltry 4 days and 404km remaining before the bikes would take their concluding bows and put their metaphorical feet up at their final destination: Bangkok. Our cycling days are, however, now done and dusted. We are pinching ourselves as we write. 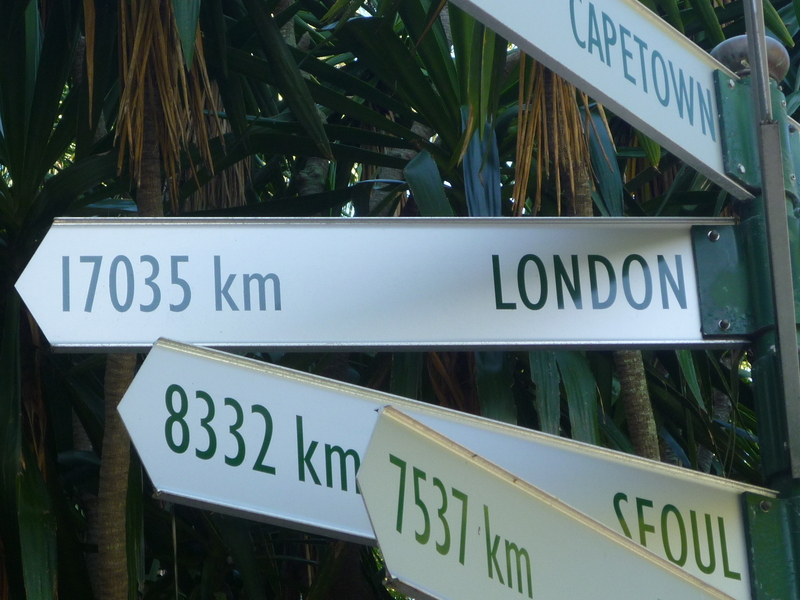 15,613km and 24 border crossings have come and gone since buttery bagels were wolfed down on a frigid February morning outside Sam’s sister’s front door in London. We have arrived. 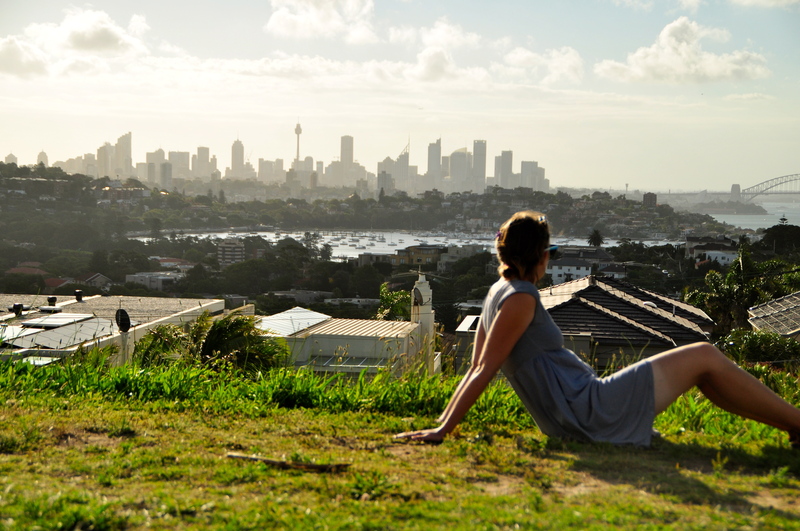 The conclusion of this blog comes to you from under the nourishing sunshine rays of Southern Australia where a short (ha!) flight has whisked us, to spend Christmas days in the bosom of Francesca’s Aussie side of the family. Reflections on a year in the saddle, musings on roads traveled in the southern hemisphere, and of course our final days in gentle Thailand are all to come next time round when two odycyclists report for the first time about life back on planet earth. As ever we have done our darnedest to ensure the latest pictures of life on the trail are uploaded for your viewing pleasure. They can be found here. And the final route we covered can be found on the two maps here. His name was Dong Muan and he sat enthroned by the carcasses of dozens of 12 foot-high bombs that stack up as the grimmest of rural furniture in this part of central Laos. Following years of nigh-on incessant fly-overs by US B-52s, dropping their payloads on the population of Laos, the landscape left behind has taken on the identity of a true lunarscape. Pock-marked with countless deep craters, many of which still retain deadly Unexploded Ordnance (UXO). Dong Muan had spotted us wolfing down fried rice in the dusty market town of Muang Khoun and with a broad grin, joined us for the chance to impress with his entirely broken French, learnt decades ago, long before the Americans and their war against the communists of North Vietnam came to town. The “Vietnam War” may be the name by which we will always remember the US military aggression in this region between 1964 and 1973, but to use this name risks forgetting that this Second Indochina War had far-reaching and devastating consequences for neighbouring Cambodia and Laos too. The consequence of Laos’ fraternal stance to the North Vietnamese, permitting use of its territory for the flow of supplies along the Ho Chi Minh Trail, was that Laos became the most heavily bombed country per capita in history, with more ordnance tumbling from the skies onto this small country than all the bombs dropped during the entirety of the Second World War. Of the 270 million bombs that the US dumped on the country, (a B-52’s contents falling every 8 minutes, 24 hours a day for nearly 10 years and delivering a shocking 500kg of bombs for every man, woman and child) Xiang Khouang province was the most heavily hit. 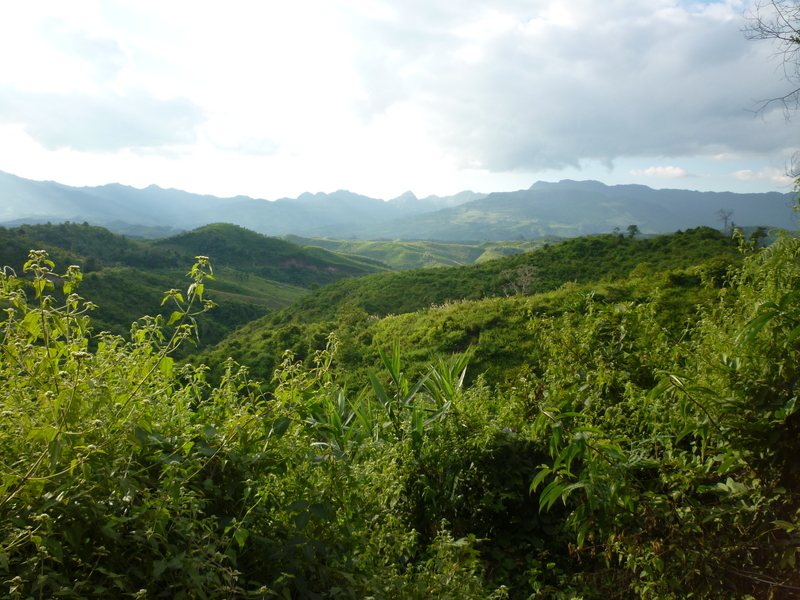 And with Muang Khoun as the principal town of the province, you might say that where we sat with Dong was, to borrow a term, Ground Zero. The most heavily bombed area in the most heavily bombed country ever. And little survived, but Dong certainly did. As his life-story made its way through his difficult-to-follow French, extraordinarily, he was able to laugh and beam and chirpily describe the instinctual response of running into the surrounding jungles when the drone of B-52s sounded above and the rat-at-at-tat of gun-fire from the heavens echoed. He survived those years and even managed at times to teach his students and local militia how to read and write. 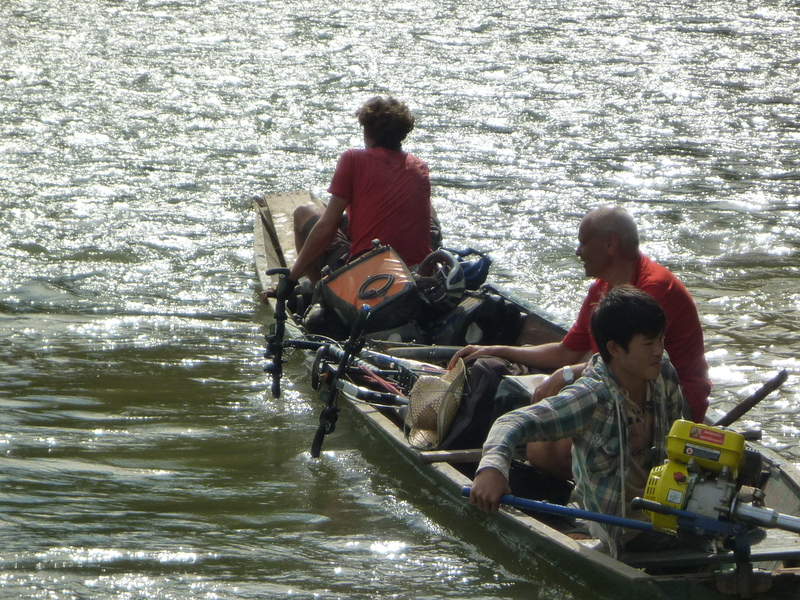 Although we have started with tales of the central heartlands, our time in Laos had begun much earlier, more than 500km away in the north-east where we criss-crossed bright and lush undulating hills, and paddled our bikes on rickety canoes across swollen muddy rivers that had overtaken the poor old highways. Highways that wrapped their way around hilltops and unfortunately had to dip into and out of countless steep valleys. Our meandering through the numerous huts-on-stilts villages, peppered with never-ending salutations of “Sa-bai-dee” and absurdly excitable, friendly kids whose energy levels we fiercely envied, eventually brought us out into the gem of Lao tourism, the enduringly charming town of Luang Prabang. Dotted with tranquil Buddhist temples (Wats) and protectively enveloped by the mighty Mekong River and its tributary, we found the ideal idyll – lazing away the days and restoring ourselves generally. It was a strange experience for Sam to be back here after almost 14 years, having visited as a very wide-eyed teenage lone traveller. 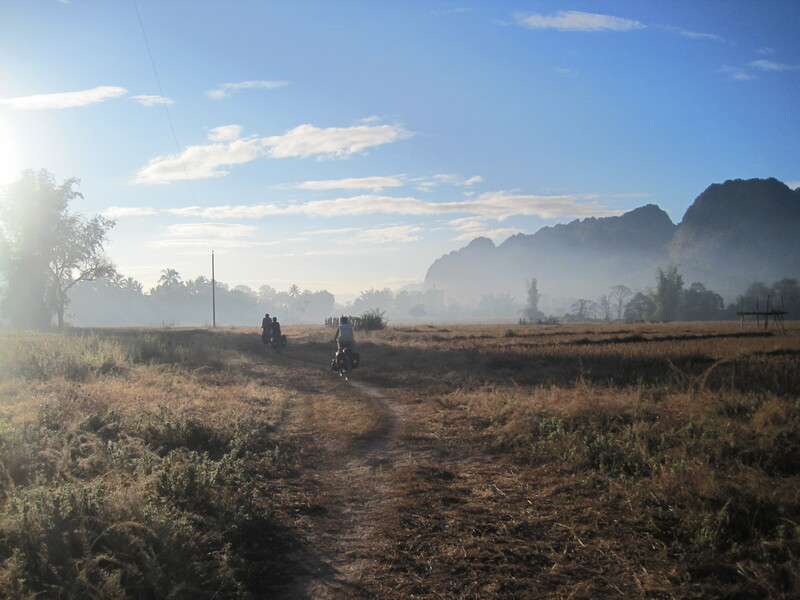 The town, and Lao’s increasing appeal on the tourist trail, has since turned this sleepy place into a major tourist haunt. Friendly opium dens replaced with fancy patisseries, now laden with life-giving cakes. It proved difficult to leave Luang Prabang. Just one more BeerLao, just one more tarte au citron…etc etc. 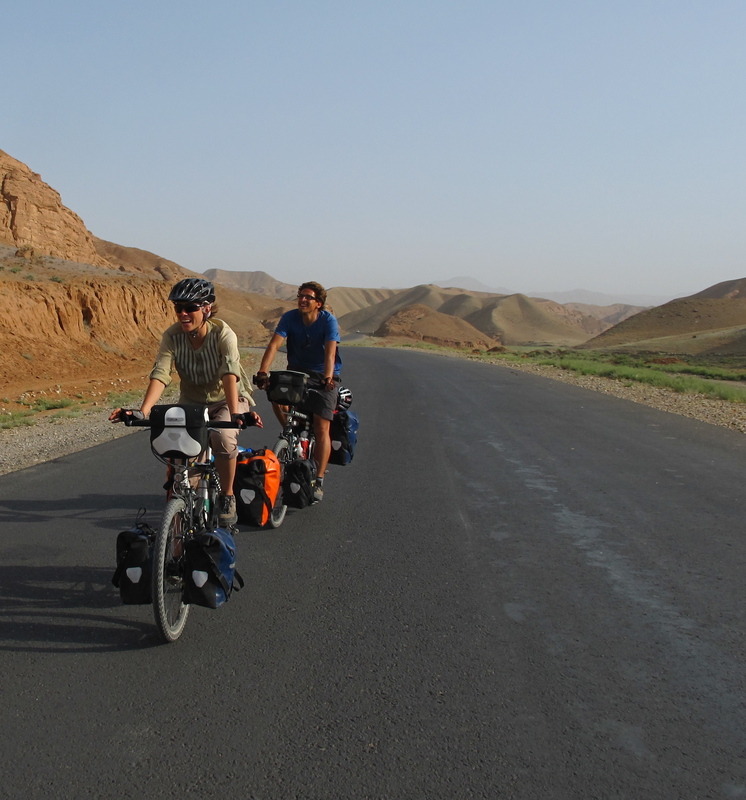 And when we did manage finally to pack the bikes and bags and prevaricate until we could no more, we met Justin and Emma (Kiwis cycling from London to NZ) and Philipp and Valeska (novice cycletourers – having only cycled for 6 years and across 75,000km!). The result was that the bikes were leant up and chins began to wag. To our great credit we did wrestle ourselves away the next day only to bump into Marc and Chris, a delightful couple from Belgium who were merrily pedalling around SE Asia. "Wat een geweldig leven we hebben"
And it propelled us onwards through the truly extraordinary 7km long Tham Kong Lo cave, whose skinny motorised canoes were not accustomed to our heavy touring bikes but delivered us nonetheless into the lonely jungles on the other side and what promised to be a brisk 15km cycle to the highway and civilisation. 60km and 2 days of devilish pedalling and pushing later, we emerged off the most demanding of tropical forest trails, having consumed frogs in their entirety just to survive. Well something close to that anyway. 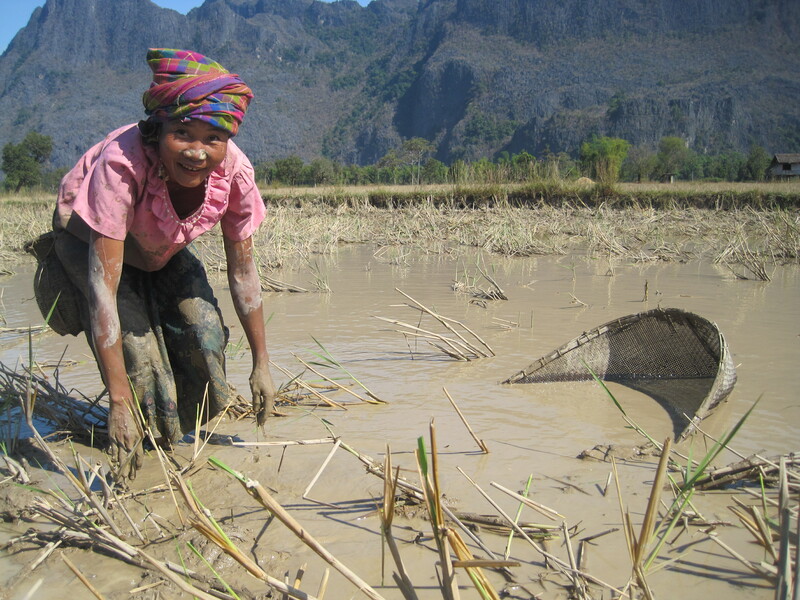 With over 80 million of those 270 million bombs that rained down on Laos left unexploded and scattered on the hills and plains, the current population has inherited fields pregnant with danger. More than 50,000 people have been killed or seriously injured due to UXO accidents since the ‘bombies’ (cluster munitions) began falling in 1964 and continue to claim lives on a daily basis. In light of the above statistics and the robust advice we were given, our camping days – much to Francesca’s great disappointment – were limited to roadside pitches. Peace of mind and a good night’s sleep, however, entailed resting up in one of the many friendly guesthouses that have sprung up all over Laos in recent years. 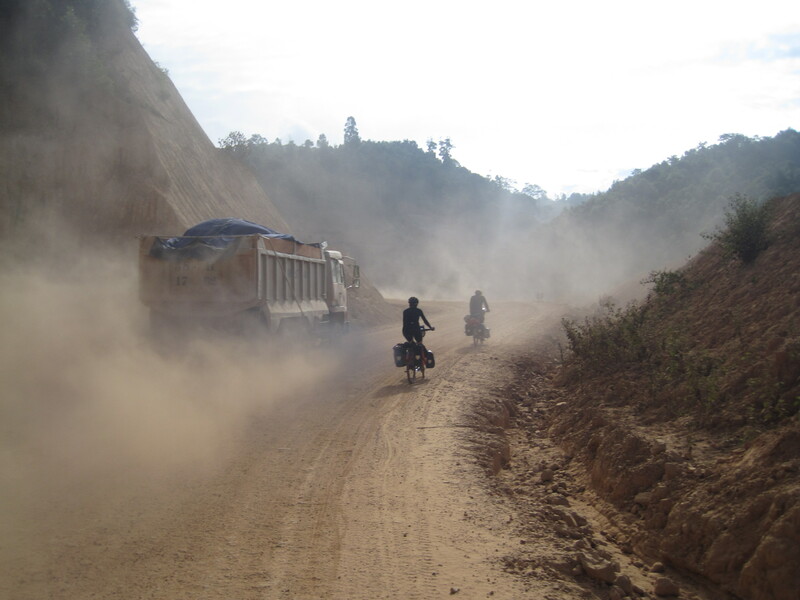 The hard but wonderful roads of Laos had put us through our paces just when we thought we had escaped days of gruel. 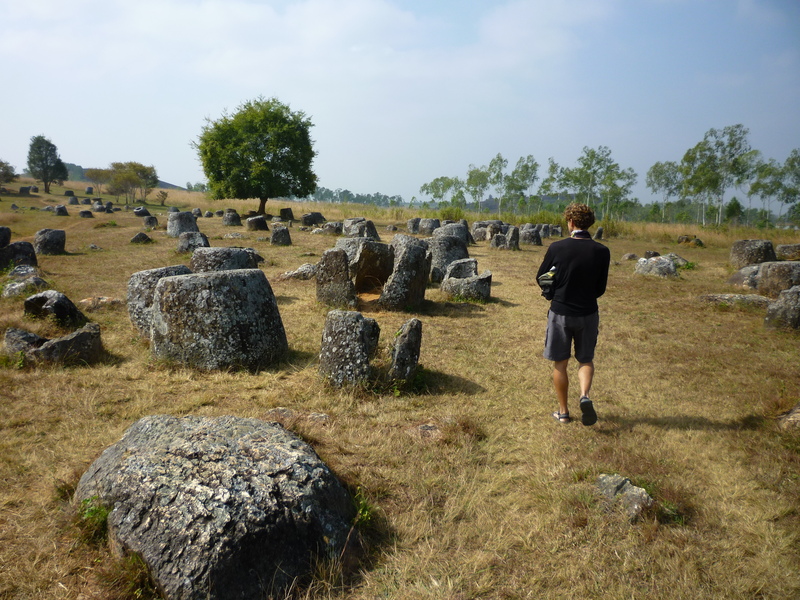 It was joyful gruel that took us through the curious ancient Plain of Jars, and gruelling joy that took us finally over our last few hillocks and gave us our first broad views of the flatlands of the Mekong, which would allow us to flow alongside this heaving mass of murky water all the way to the south of Laos and the border with Cambodia. That was to be the plan anyway. A mental clock is now ticking for us both. One we always envisaged as being so far off, yet the tocking is irritatingly and discernibly getting louder and time is running out on this Odycycle. With this in mind, we have exited Laos prematurely and raced the diagonal through Thailand to enter Cambodia and pay homage to its (and the World’s) gem that is Angkor Wat. 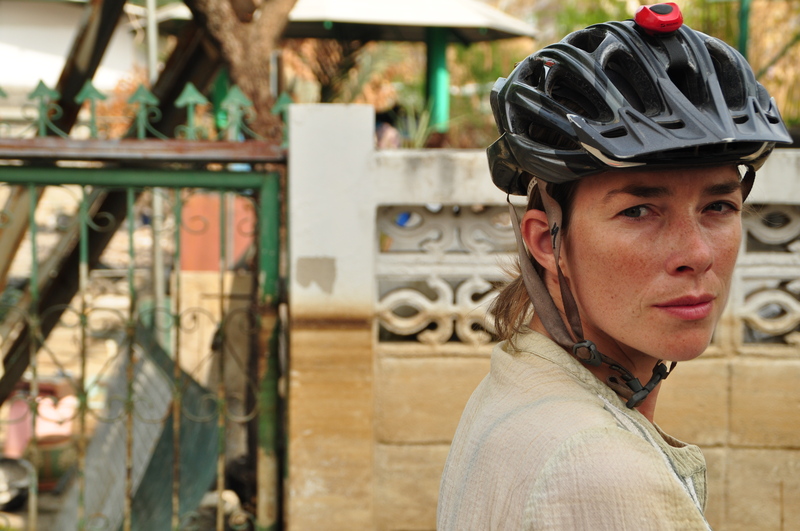 A visit to see Sam’s colleagues working in Phnom Penh is on the cards too, but more of that next time. We sign off by saying that our most recent snaps can be found here and our updated route is here. Vietnam – Friend or Phở? The End of Europe. And, of course, the snails. And so at 5.51am Slovenian time, it happened….. The Land of My Father…..